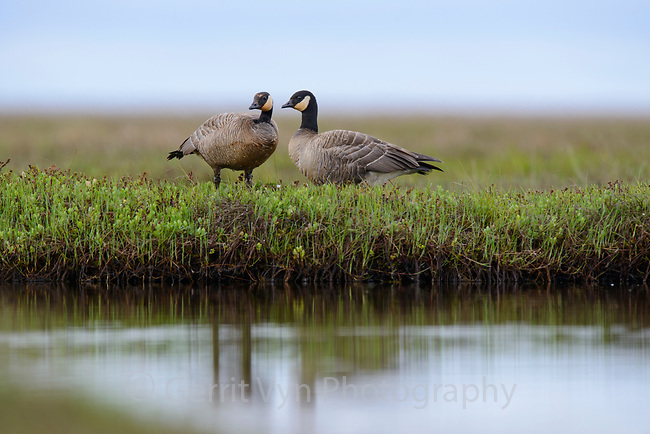 Pair of Cackling Geese (Branta hutchinsii minima). Yukon Delta National Wildlife Refuge, Alaska. June.